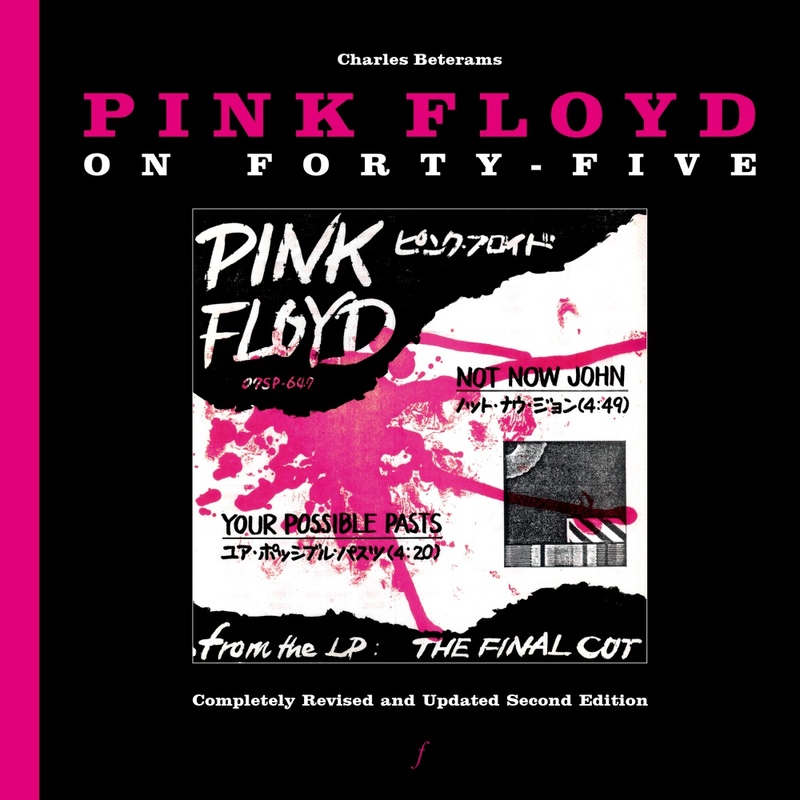 Last month, we mentioned that the follow-up, fully updated second edition of Charles Beterams' incredible Pink Floyd On Forty-Five was coming close to completion. The new edition of his book, a limited and numbered edition of 500 copies in a deluxe clothbound hardcover, running to some 260 pages and well over 1200 pictures in full colour, now has a confirmed publication date of April 12th. The book is the definitive discography of Pink Floyd 7 inch singles. With the help of the world's foremost Floyd singles collectors, Charles has compiled a simply breathtaking book that sets the standard. Apart from entries on releases from countries such as Angola, Costa Rica, Egypt, Jamaica, Kenia, Nigeria, The Philippines and Turkey, Pink Floyd On Forty-Five also features extensive discographies of 7 inch singles from Australia, France, Germany, Italy, Japan, The Netherlands, United Kingdom and the USA. The core of the book consists of 7inch singles that ended up in public, either via the regular route of shops (stock copies) or via record companies to radio stations and journalists (promotional copies). These are brought together in separate chapters per country, starting with Pink Floyd, and followed by Syd Barrett, David Gilmour, Nick Mason, Roger Waters, and Richard Wright singles, all of them in chronological order, complete with release notes and details. Pink Floyd On Forty-Five concludes with a selection of test pressings and acetates. Pink Floyd On Forty-Five is available for pre-orders now, through Floydstuff.com, the ONLY place to get hold of it, unless you are visiting the 51st Mega Record & CD Fair in Utrecht, The Netherlands. Whichever way you get it, we are certain it will be just as highly recommended as the first edition!